Bring a pot of water to boil over medium heat – add edamame and cook for 2 to 3 minutes; pour into an ice bath to stop the cooking, then drain. 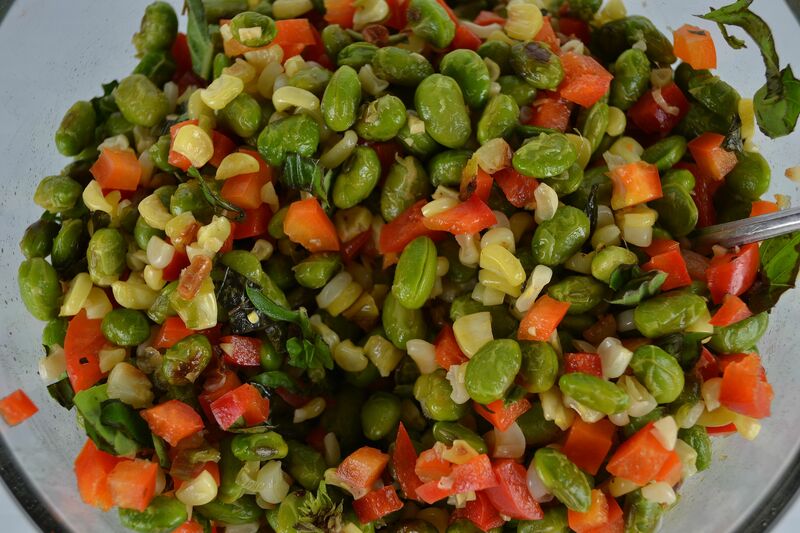 Preheat the oven to 400 degrees F.
Add the bell pepper, basil and vinegar to the edamame mixture and toss to combine. Taste and adjust seasoning, as desired. Serve chilled or at room temperature (can be made up to a day ahead).